Mike holds destiny responsible for his poor learning skills that have led to a life of bad jobs, wavering confidence and diminishing potential. In one last attempt for an explanation, an aptitude test reveals his failures have been less about fate than rate. Sometime in junior or senior high school – I can’t remember clearly just when – I took a test that ascertained my strongest aptitudes. My experience was similar to many of my friends. After enduring several days of questions with heads buried in test booklets, we were told which three vocations we were most apt to succeed in. Then we wound up with something like phlebotomist, hand model, or narrator – careers completely opposite from what we expected. A month after my tests, I couldn’t remember the three vocations I’d been pegged with, or even what raw scores and strengths I tallied. 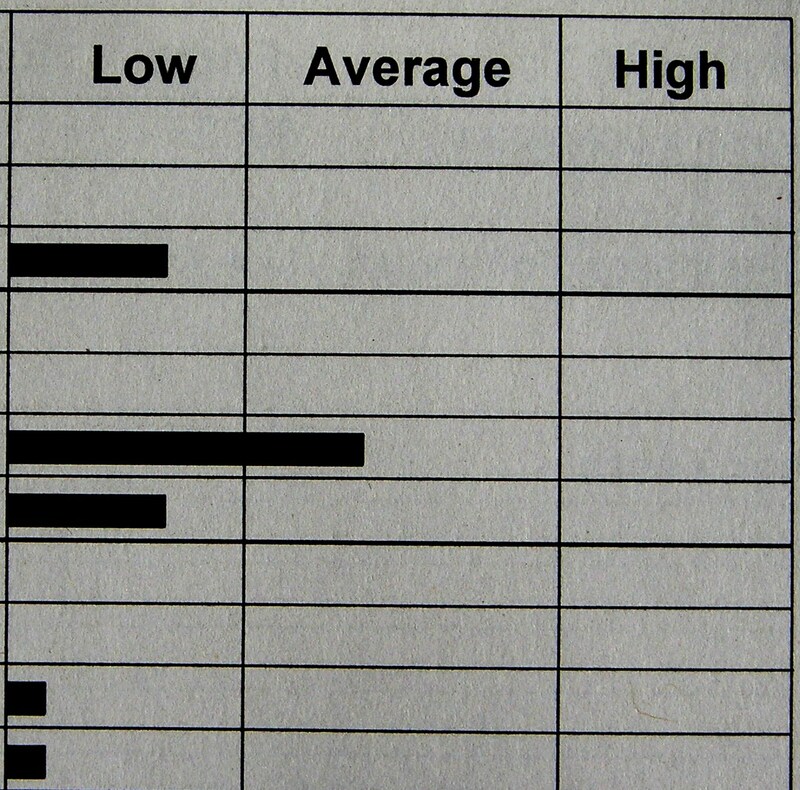 Later in high school, I took my SATs, tests that didn’t spew out applicable careers, but raw intelligence scores. My numbers were startlingly mediocre. What bad news. What bad news for any American seventeen-year-old who wanted to get into a good college. However, smart enough to read between the lines, I understood I was a classic underachiever (but no worse than a phlebotomist, hand model or narrator, except that those positions paid considerably better than an underachiever). My grades were never really bad, but then they were never really good. I showed sharpness one minute, dull confusion the next. Socially, I felt behind the curve, too, often having difficulty keeping up during conversations with friends. To survive, I developed something called “Cover up. Deflect. Pretend.” This original technique worked by covering up what I didn’t know, deflecting the subject elsewhere, and then pretending to know something about anything else I could think of. Countless examples of the strategy occurred daily, most while trying to con teachers or impress friends. One day, hoping to gain acceptance into the hoity-toity set of my high school, I joined in on one of their dialogues.